COVINGTON, Ky. -- Tessa Bowling and Zander Hughes never thought of themselves as homeless. But when Bowling looks back at the nearly two years she lived in a youth shelter, and Hughes looks back at the time he was a runaway staying with friends, they realize they technically were. Bowling, who is now 18, was 16 and a half when she went to the shelter after living with her aunt didn’t work out. That stigma, along with a lack of reliable data on homelessness in Northern Kentucky, leaves children and youth who experience homelessness there largely invisible. But a group of 40 people from 19 different organizations has been working to shine a spotlight on youth homelessness in the region to help the community understand just how big it is. They’re especially focused on getting the word out now because it’s National Hunger & Homelessness Awareness Week from Nov. 11 through Nov. 19. Northern Kentucky school districts counted 2,939 students as homeless during the 2016-17 school year. That’s a 26 percent increase over just two years, Werner said. The figure includes students in Boone, Campbell, Gallatin, Grant, Kenton and Pendleton counties. The increase has come in the number of school-age children who have no place to call home. The vast majority are not living on the street, in cars or even in shelters, like Bowling did. They’re staying with friends or other family members or in low-cost hotels. “Parents will do almost anything to make sure that their children are taken care of, so they’re not going to go on the street,” Werner said. But as noble as that is, those families and their children don’t qualify for help from the U.S. Department of Housing and Urban Development. HUD funding for the homeless can only be used to serve people who are on the street or in a shelter or who are fleeing domestic violence, said Kevin Finn, CEO of Strategies to End Homelessness in Cincinnati. Strategies focuses its work in Cincinnati and Hamilton County. But the organization has been trying to help the Northern Kentucky group and estimates there are at least 2,400 people a year who are on the streets or in shelters in Northern Kentucky, Finn said. That doesn’t include children and families who are doubled up with friends and relatives or living in hotels, however. Cincinnati and Hamilton County have some “shelter diversion” programs that can help those families that are doubled up or “precariously housed,” Finn said. But there are no shelter diversion programs in Northern Kentucky, and there are no emergency shelters there either. It leaves school district employees like Werner scrambling to help families and children in need with few resources or options. “Not only are we trying to deal with the doubled up families, if they’re moving a lot we have the added responsibility to get them academically stable,” said Lori Eifert, the Project Home coordinator for Covington Independent Public Schools. 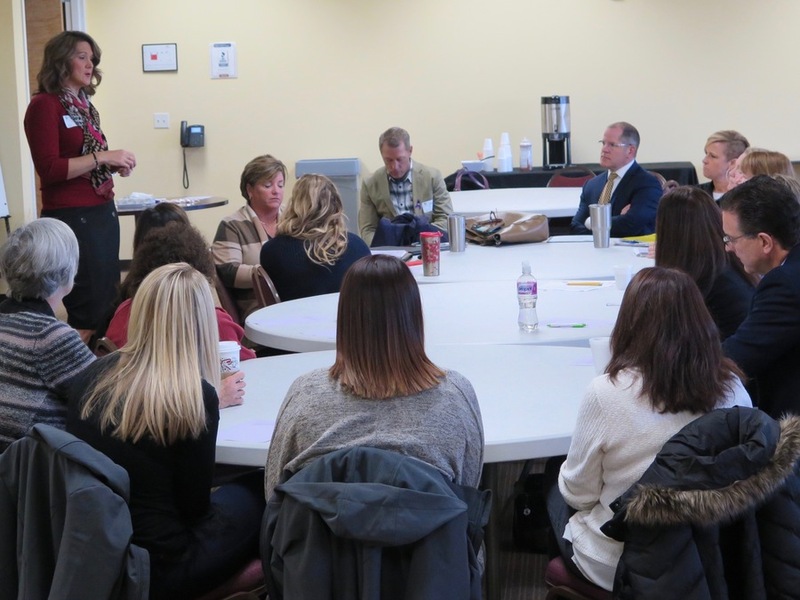 A group of educators and service providers has been meeting regularly in Northern Kentucky to figure out ways to address childhood homelessness. That requires coordinating transportation to keep students in the schools where they have started the school year so they have some academic stability in their lives. “It could mean one day we’re sending a cab to Newport, then we find out at 4 o’clock on a Friday that we need to go to Erlanger,” Eifert said. That makes coordination critical among school districts in Northern Kentucky and in Cincinnati and Hamilton County, she said. 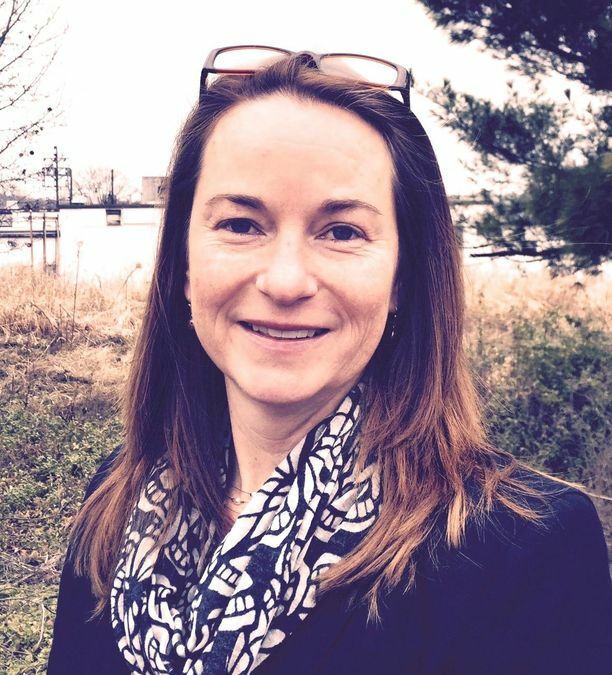 But as difficult as that work is for school district staff such as Eifert and Werner, they know the problem is toughest on the children experiencing homelessness, whether they call it that or not. In all the time Bowling spent at the youth shelter, she saw lots of younger children come and go. The shelter was designed for kids between the ages of 11 and 18. But younger children sometimes were allowed to stay there, too, if they had older siblings in the shelter and would be alone without them. “There was this one little girl there, and she was scared. I asked her if she wanted to sleep with one of my stuffed bunnies,” Bowling said. She told the little girl that the bunny was very important to her and that it got scared sleeping alone. The little girl got so attached to the toy that Bowling let her keep it, she said. It was hard for Bowling, too, of course. She ended up failing three classes her junior year in high school because of all the upheaval of moving to the shelter. She made up two of them over the summer and took the other one her senior year. Hughes was in the midst of completing high school online when he ran away. He had to return the tablet he used for classes but ended up completing his high school requirements through a program in Boone County. 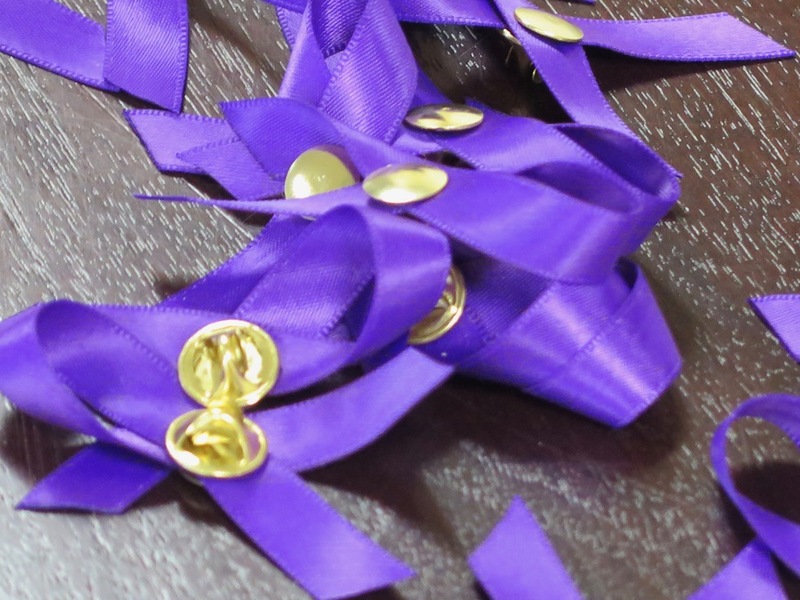 These purple ribbons are for National Hunger and Homelessness Awareness Week. Now he’s working late-night shifts at a factory job, earning enough to pay rent to a friend in East Price Hill and save up for a car. He’s hoping to get his own place and then get enrolled in college, first at Cincinnati State and then University of Cincinnati. Bowling graduated from high school and is going to college at Gateway Community and Technical College. She advocates for other youth as a member of the First Lady’s Youth Leadership Council in Kentucky. She has her own apartment, and she’s mending her relationships with her family. Still, there are plenty of challenges. Bowling said she would like to see more mentorship programs for foster youth or kids experiencing homelessness who lack stability at home. She has a mentor who is teaching her how to cook, she said, and seeing that person every week means the world to her. Hughes agreed, adding that he is trying to mentor some younger friends on his own. Hughes helps them with money when he can and listens when they need someone to do that. As someone who has struggled with depression and suicidal thoughts, Hughes has leaned on Bowling, too, even though she’s younger. He never sought help through government programs because he didn’t want to get sent home and didn’t know how to advocate for himself, he said. • Adults can volunteer for programs such as Big Brothers, Big Sisters and can sign up to be “lunch buddies” who eat lunch with students each week. • Schools need adults willing to tutor students who fall behind in their studies because they’re moving around so much. • School district programs that help homeless youth can take cash donations to provide families with what they need. • And concerned citizens can write to their U.S. Representatives and Senators and ask them to approve legislation that would pave the way for HUD dollars to help families that are doubled up but are not literally without a place to stay. But the first step is understanding that Northern Kentucky has thousands of homeless children and youth, Werner said, and then wanting to do more. And everyone working to raise awareness in Northern Kentucky agrees that young people like Bowling and Hughes should count. Zander Hughes, right, sometimes refers to Tessa Bowling as his "mom" because she has been such a supportive friend.